My Kitchen Gardening Journey #AtoZChallenge - A Rose Is A Rose Is A Rose! Hello Folks. 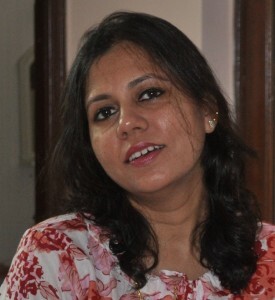 Say Hi to my today’s Guest Blogger Asha Balakrishnan from Asha’s Musings & Ramblings. Asha is multifaceted and pursues many creative arts. She comes across as a mature, warm, kind, intelligent and a strong woman. 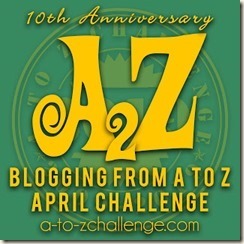 We connected online through our blogs years ago. Though, we have not met in person but we feel more closer and connected with each other. Asha blogs about her experiences of travel, food, art and culture and life in general. Please join me in welcoming Asha to my space here and I hope you enjoy her informative insights about Kitchen Gardening. Kitchen gardening was not new to me as I have seen my parents grow food organically since an young age and even today it remains their retirement hobby. Living in a high-rise apartment I cited limitations like lack of space, indirect sunlight, pigeon menace as excuses. The catalyst to start my own kitchen garden was my first compost which I harvested at home from kitchen wastes. So, the next step after composting was automatically to start a kitchen/balcony garden. 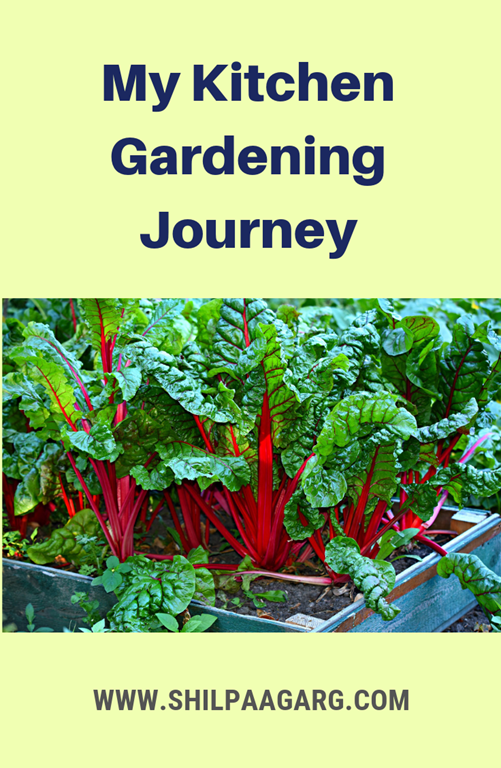 Initially, the results of my kitchen garden were discouraging with the said limitations, but with time, I was able to overcome these challenges and started growing simple greens from my kitchen spice box. I used the cracked ceramic mugs, soup bowls, biscuit boxes, etc. as containers. The micro greens harvest were encouraging and gradually I experimented with other vegetables in clay pots. It was not an easy task, like I said, it came with its own disappointments. The tiny seedlings would be eaten by pigeons. They would hop and crush the little plants and there was ‘blossom drop’ of tomatoes and chillies. Just when I would be excited to see the blossom of tomato or chilli and would dream to see the fruit, the blossom would drop to the ground. All these were initially frustrating and de-motivating. As they say gardening is a great life skill teacher. It teaches you to be patient and face disappointments, just as each sprout, bud or flower teaches you to be optimistic and hope for a better tomorrow. When you fight all these disappointments with patience, grit and determination, your garden seems to say with each harvest – ‘perseverance pays’. It started as a small patch and still is, but I am glad I made a beginning 7 years ago. The journey is on, I am also moving homes due to transfers and the balcony set-up moves into new balconies and adapts itself. The little patch yields no major harvest, but the gardening makes a tiny difference on my food plate and soul. It gives me micro harvests and sometimes the harvests do dictate my menu. I get safe and healthy food like a sprig of curry leaf, tuft of methi, mustard micro greens, baby cumin greens which adds punch to my sandwich, rasam and recently my turmeric harvest turned into a bottle of homemade organic fragrant turmeric powder. the exotic smell of the lively soil made soulful with the compost that I have created from waste and much much more. Here’s presenting a glimpse of my bursts of freshness that has added an extra zing on my plate at various times in the last 7 years. 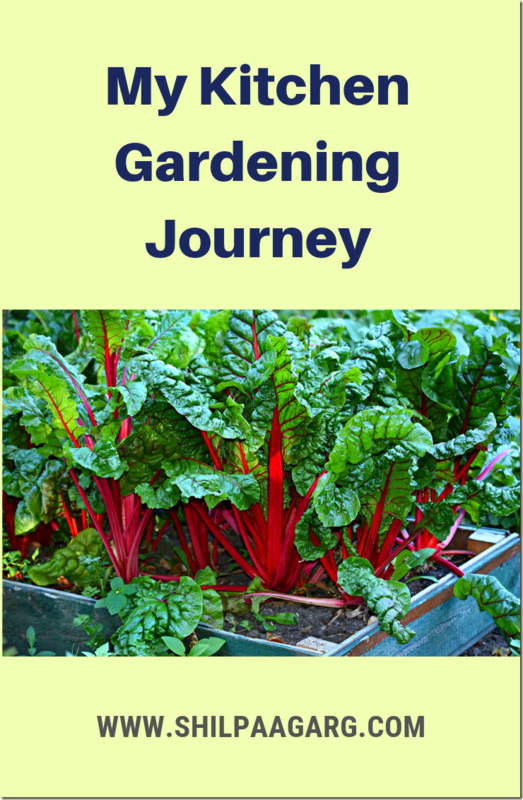 Do you have a kitchen garden? How has been your experience? Are you interested in growing your own vegetables? This is interesting. I am going to try it soon. Thank you Vidhya, Do try, you can do it. She has done a wonderful job by maintaining an amazing garden. There is a garden at my parents place and at the backyard, a kitchen garden too and my parents very fondly take care of it. Thank you Vartika and nice to know your parents maintain a kitchen garden and fondly take care of it. Such a fulfilling and rewarding hobby this is. Thank you Priyanka. I am sure you will grow them one day. Thank you Priyanka. You sure will grow one day. Good luck to you. Really impressed by Asha’s kitchen garden. Gardening is very therapeutic and the produce is the reward. Thank you Mayuri for that encouraging comment. It sure is therapeutic and rewarding like you said. I have been intending to have a kitchen garden of my own for a long time. Hope to get back to this post for reference, when I actually get to the job. Anupriya! Glad to note you intend to start a kitchen garden of your own. Would be very happy to share whatever little i know with you. Good luck to you. Yes kitchen garden, like another creative pursuit, can be therapeutic. It is thrill to see real life come out of septs planted. Glad you concur with me Abhijit. Yes, its a thrill to see real life come out of soil. Thank you Abhijit. I’m always inspired to grow my own veggies but alas, the balcony is no place to grow them. This post has inspired me so perhaps I may just venture out with a small herb garden. Those were my thoughts too Unishta about balcony gardening. Now i see people growing almost even small fruit trees in balcony. A little sunshine, a little space and we can have our own little farm. good luck on your herb garden. Wonderful garden you have. Even I have one on top of my house in the terrace. Oh that’s lovely to have a terrace garden Suhasini. Your plants must be revelling in direct sunshine and rain. I am sure you must be growing a wide variety there. it was inspiring reading about and watching your kitchen garden, Asha. Kudos to you for making space in your balcony for this greenery! A money plant in a ceramic shoe is such a beautiful idea Shilpa. Happy to note you compost and tended to a garden too. Nano farming will be a life saviour in the coming days especially in summer when there is a dearth of veggies! I will try out some of these. Isn’t it Sonal? may be we can even fight food scarcity to a certain extent too, if we all nano farmed . Glad you think so , sonal. Good luck to you. My daughter and I started a little kitchen garden last year. We had beans, coriander, fenugreek, basil and carrots. During this time we had a pet who came over to stay with us just for a month. He would carefully see us and then go and mess around with the pots later. But we did get to eat the beans. haha….pets and plants don’t go in the same line i am guessing,Shubhra. I have heard my neighbour yelling at her 3 pets not to topple or go near the containers, but they unknowingly swish their bushy tails and pose innocently later. Glad you have taught your daughter to tend to a garden and you could harvest beans. It is the real charm to sit in your kitchen garden and feel the newly grown leaves and smell the freshness. I don’t have a kitchen garden at home but my mom still maintains one at her home. Yes, Geethica. Amazing sensory treats they throw. Glad to note your mom maintains one at her home. Asha, a fellow kitchen gardener, you are a person after my own heart. Indeed, when I sit watching my plants in the roof-top garden, it is a feeling of pure joy and pride. Loved this post and a glimpse of your kitchen garden. Hi-fi fellow kitchen gardener:) Rachna, Glad the post resonates with you and I am sure you must be growing a wider variety than me and would have more gardening stories. Thank you Rachna. I can connect so well with this post. I have a kitchen garden and it is a labour of love. I live in really hot weather and it is a challenge for humans to survive and delicate plants wilt naturally. I converted my lawn area into a veg patch. I beam proudly at the fruit of my labour so I can understand how u feel with ur nano garden. Hats off to u if u move and carry it along too. Ohhhh, it must be really tough to grow veggies in hot weather. Definitely the fruits and veggies of such challenge and labour would be tasty, even if the harvest is minimal. Thank you Harjeet, glad you could connect with the post and good luck to you to grow veggies. I have a backyard garden but just started trying herbs indoors over the winter. Happy to say my rosemary has survived the winter and am hardening it once this last cold spell moves on. Next year, will try keeping the oregano and thyme indoors. Lovely to note you have a backyard garden and shielding your plants from the winter. You seem to have quite a a variety there. Good luck to you Stephanie with the thyme and Oregano. Your backyard must be smelling fragrant with these herbs. What a lovely story. I had a patch of land where I grew tomatoes and spinach, lettuce, broccoli, aubergine and more. When I had to give that up to move into an apartment I never quite managed to muster up the enthusiasm to grow things in pots. But I must and you are an inspiration to do so. Kalpana! You are a seasoned gardener, you have grown quite a range of vegetables. Broccoli not easy at all. isn’t it? Thanks you for finding this post inspiring. I hope you grow a much wider range in your apartment. Oh God! Pigeons are such a huge menace na? You know, they completely destroyed my old potted banana plant… the one that traveled with me from Patna to Noida, then back to Patna, then switched apartments in Patna, and finally to Jaipur! And after going through ALL of that, it gave up here, at the mercy of these stupid pigeons! My L post is unfinished, so will come back tomorrow now! I love the idea of Kitchen gardens and would love to have one of my own. But space in Mumbai apartments and kid’s over-enthusiasm keeps me away. Maybe in the near future will have few of these beauties blooming at the window silts. Interesting post:) we do have some plants, not a kitchen garden. As its a flat space needs to be organised. I loved reading this post. I love growing plants on my balcony but my earlier trysts with vegetables has been disappointing.. But, this is making me try again.